This set examines Cubism or ‘geometric painting’ led in Paris from 1907 by Picasso and Braque. 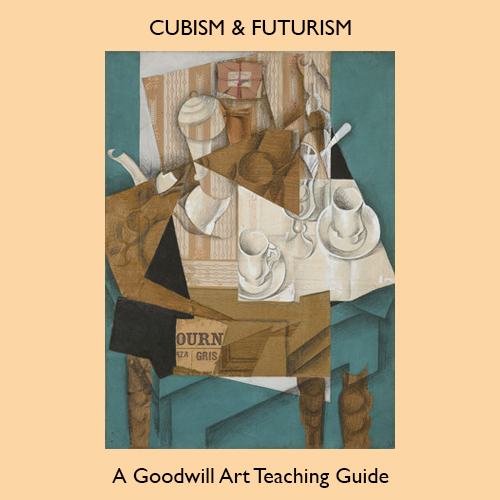 It also covers the Italian Futurists who published a manifesto on the difficult task of painting motion on canvas. The 25 images and 51 pages in this e-book offer concise information, teaching ideas and the opportunity for fresh and creative thinking about the subject.